« PWP Live Pro Wrestling! Friday January 5th in Omaha, NE! It all comes down to this! The fourth annual Mega Ticket event is about to blow the roof off the Spaulding Hall! Its the Ego Busters bringing their all time best regular season record to square off with the red hot Submission Squad in the main event for the PWCS Championship! With Jovi prove his dominance, or will Gary and the Squad ride their wave of momentum to an upset? 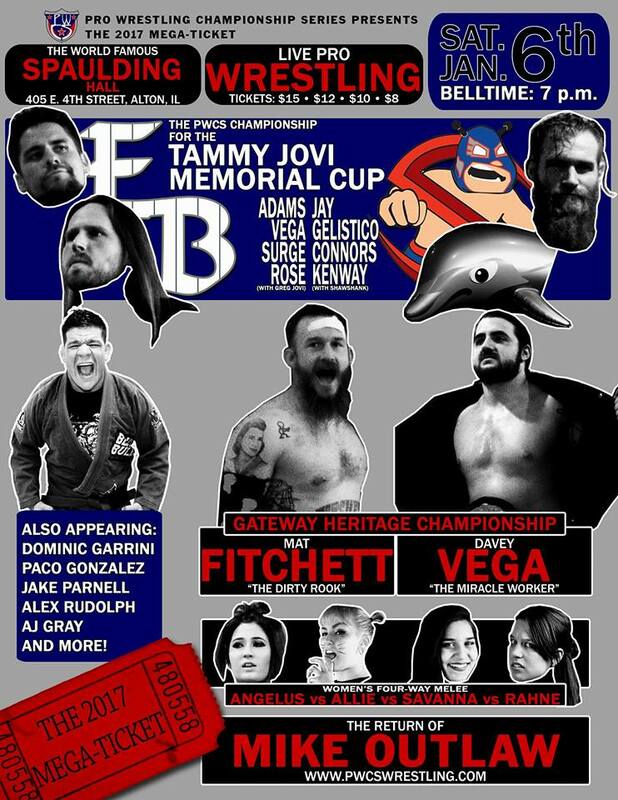 Also in our other marquee match, Davey Vega defenda his Gateway Heritage Championship against Mat Fitchett in a bout one year in the making. The time for explanations and games is over, its time for these two titans to settle their score once and for all. All this and so much more! Dont miss it! This entry was posted on December 30, 2017 at 4:00 pm	and is filed under Uncategorized. You can follow any responses to this entry through the RSS 2.0 feed. You can leave a response, or trackback from your own site.